• Ideal for use in confined spaces. The LVL100 is a compact vibrating level switch for use in liquid applications such as overflow, high, low and demand applications, as well as pump protection. It is a compact level switch designed for industrial use in all areas of process technology and can be used with liquids and slurries. With an insertion length of only 40 mm (1.57″), the SITRANS LVL100 can be mounted in small pipes and confined space applications. It is also virtually unaffected by the chemical and physical properties of the liquid. The LVL100 can also be used in difficult conditions including turbulence, air bubbles, foam generation, buildup, or strong external vibration. 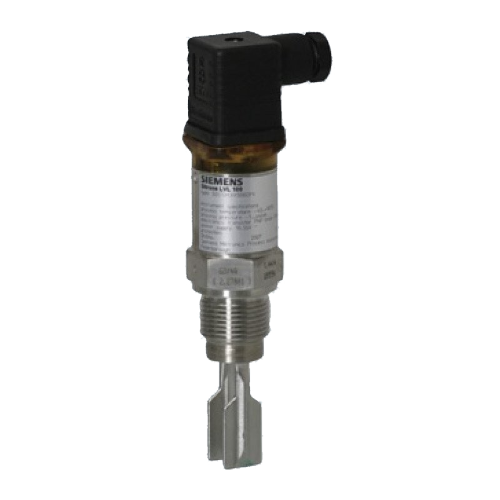 The Sitrans LVL 100 is a compact vibrating level switch for use in liquid applications such as overflow, high, low and demand applications, as well as pump protection.